Rare Earth Design Studio would like to let you know that due to an increase in our trade work (Sydney CBD boutique retail jewellers) we are restructuring how we operate our business. For those of you who are online clients there will be little difference, for our face to face clients we are now available by appointment only. We are still available to you for made to order pieces, repairs, or that special piece/gift from our stock. We are still very happy to see you. As part of our restructure we are moving from our premises at Kincumber. If you would like to see us please contact us on 0438816674 or email us at rareearthds@bigpond.com and we can arrange a time that is convenient for you. On Friday the 29th of April at our Kincumber workshop on the Central Coast, in front of a select group of interested people, we launched “Oceanus”. Winner of the men’s category in the 2015-2016 Diamond Guild Awards. Burt, Beth, myself and our guests all enjoyed the night. Our latest version differs from the original in that we have made it in 9ctw gold rather than 18ctw gold. The original ring sold soon after the awards and was shipped to Melbourne. 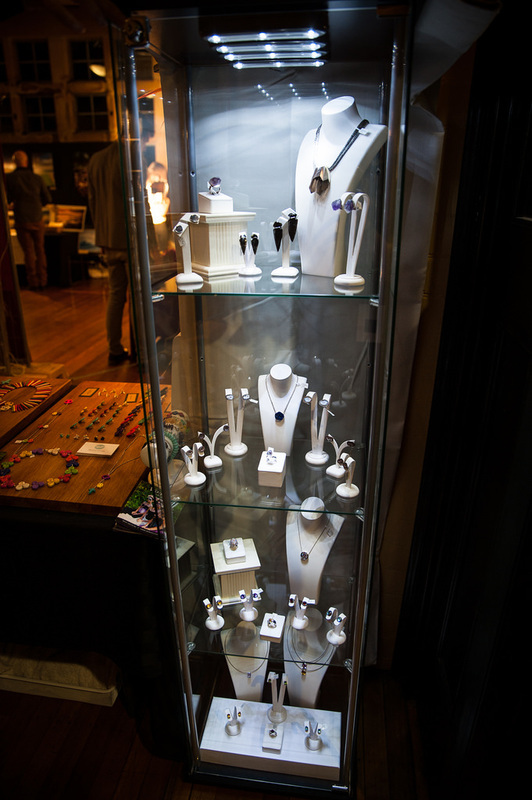 The Rare Earth design studio “Oceanus” ring is now on display in our downstairs showroom at our Kincumber workshop. Why not pop in and have a look at “Oceanus” and some of our other designs. We are always happy just to say hello. Beth has been invited to attend the gifting suite for the Academy Awards in February 2019 to promote BethCarina jewelry. Rare Earth DS are backing her all the way and will be there in a supporting roll. It is all very exiting, there will be photos of the event on the BethCarina site next year and we may have some for you on our site as well. 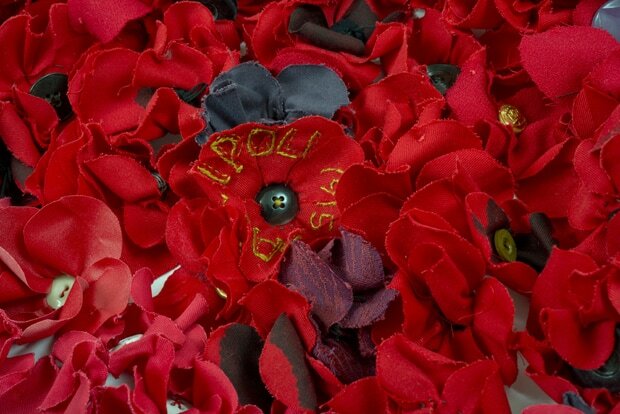 The exhibition is described as "An intercultural interdisciplinary group exhibition exploring, interpreting and reflecting on the Allied Gallipoli Campaign in Turkey within the context of marking the Centenary. The exhibition takes into account both retrospective and contemporary perspectives re-imagined, as well as the integral role that artistic practices play in remembrance and healing as depicted through diverse art practices in this collaborative exhibition." experience of the Contemporary Gallipoli exhibition. This talk will be followed by a gallery performance of Gallipoli Sensings, composed by Chris Sainsbury and played by members of the Royal Australian Navy Band. ​Scroll down for photos and more information. Brand new pieces will be showcased and available for purchase exclusively first at the 'After Yes, Then Comes I Do' bridal fair at the springs Golf Course, Peats Ridge. 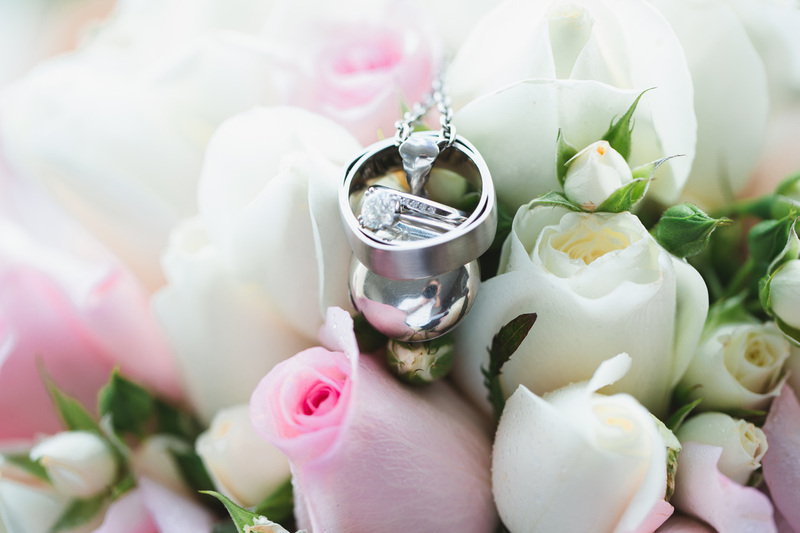 Our creative team will even be on hand to talk about a special piece to suit you and your occasion. Make sure to keep 11 September 10am to 3pm free, and come see us at the Rare Earth stall. Rare Earth design studio would like to thank The Central Coast Interactive War Exhibit for hosting the 100 year commemoration of the battle of Pozieres. The night was very enjoyable starting with the discovery of the fascinating and extensive collection at The Central Coast Interactive War Exhibit. Our pieces (ring and pendant) 'Ignis' arrived and was given an honour guard to the display. These are the commemorative pieces Burt designed and made for Macquarie University Contemporary Gallipoli art exhibition. The pieces were temporarily taken out of the exhibition (which has been on tour around NSW) and this was their first official appearance on the Central Coast. Scroll down further through News and Events to find out more about the two pieces. Rare Earth design studio in conjunction with LEVENDI jewellers entered the Diamond Guild Awards design completion. We are happy to announce that we won the men’s category of this competition. The ring is in 18ct white gold with black diamonds. The event was held at the Museum of Contemporary Art Australia with champagne, delightful design and of course oodles of diamonds glittering the stage. Our head jeweller Burt Muller was invited to contribute two pieces of Commemorative jewellery for the Contemporary Gallipoli 2015 exhibition- a multi-disciplinary art exhibition at Macquarie University Art Gallery Sydney. The exhibition was showcased from April until the 10th June 2015 to mark the Centenary of the Allied Campaign at Gallipoli. Burt was excited to be invited to contribute to this exhibition and has enjoyed creating the Centenary pieces, a fusion between jewellery and sculpture. The exhibition officially opened on the 8th of April and Burt was proud to be included with this fine group of artists (a number of whom reside on the central coast). He enjoyed the night and would like to thank Meredith Brice for inviting him to contribute to the exhibition, and all those involved in putting the exhibition together and running it. In our youth we often ask ourselves who are we? Our identity has not yet been defined. Although this ancient land was first populated tens of thousands of years ago the culture that exists here today looks to its recent history to try to understand itself. Just a few decades ago it was commonly thought that the ANZAC commemoration would, as the remaining participants eventually dwindled, die along with them. Instead, many young people (who had not experienced the horrors of war), asked themselves, who are we? Who am I? Increasing numbers look to Gallipoli for answers. The work depicts the awakening and development of the Australian /ANZAC spirit through the passage of time to the present day. A flame-like shape of Australia and New Zealand is seen to emerge through layers. The negative image of the flame is suggestive of the trauma that etched a scar on the landscape of our identity. The layers are intended as an indirect reference to the passage of both geological time and human experience . The reference being non-specific except to the extent that each successive layer becomes increasingly well defined or modern . The curved surface gives a global context. Different tones are used in the layers to recognize both the multicultural nature of Australian society and the contribution of the indigenous peoples. The layers of the past are held together by rivets to indicate that we are all participants in the process of building our national character, however all the rivets are not present suggesting that the process continues. 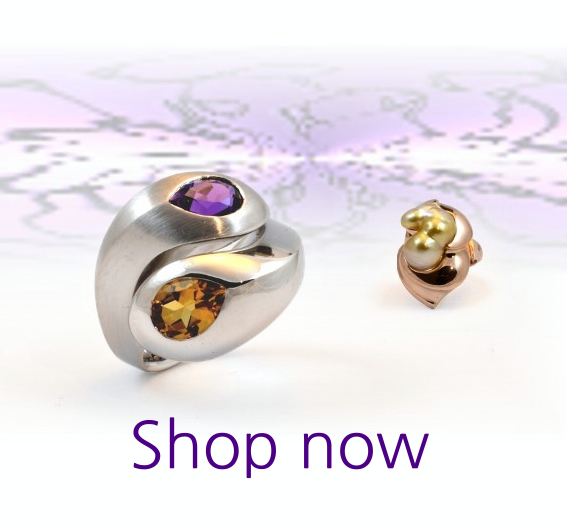 The layers of history are held as a precious jewel would be in the ring and pendant mounts. If you are interested to see the Contemporary Gallipoli exhibition. ﻿ A message from Meredith Brice Curator of Contemporary Gallipoli ,concerning the whole exhibition. Contemporary Gallipoli has reached the shortlist in the Museums and Galleries Assoc of NSW 2015 IMAGINE Awards...very competitive but great to be nominated by Macquarie University Art Gallery and Cowra Regional Art Gallery for this. M&GANSW Awards ceremony 13 November 2015. Burt and I attended the awards night and although Contemporary Gallipoli did not win its category it was an enjoyable night and an honour to be one of the finalists. I had almost sold out of my carved stone animals, so when I recently attended the jewellery trade fair I went on the hunt for new carvings. I found some lovely pieces and they are now on display in my specimen cabinet down stairs. I always enjoyed looking at specimen cabinets in shops when I was a child, and the one at our studio is my little treasure. Stalactite quartz specimen, a lovely and unusual display piece, one of a number of beautiful specimen pieces we have recently put on display downstairs at Kincumber. 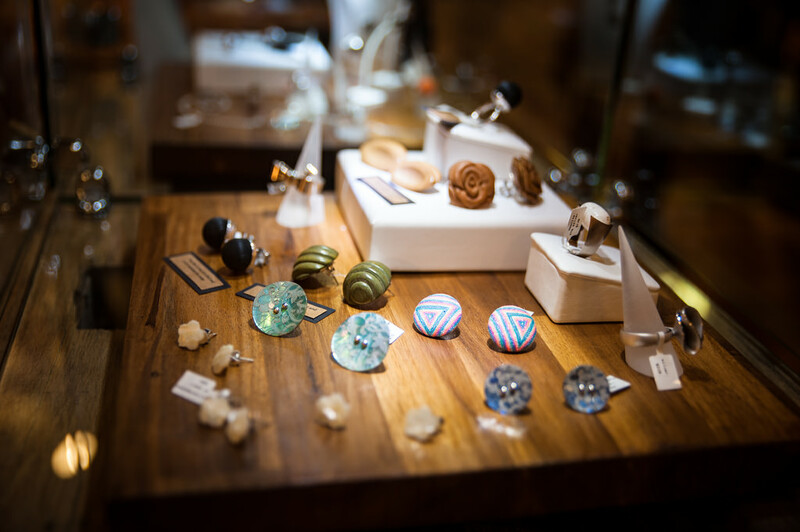 It’s worth popping in just to have a look at them in our display case. After, you can sit and have a relaxing cup of coffee or something to eat at the Café in the centre. ​To visit our shop click the shop now icon. If you would prefer to shop on etsy click the Etsy icon. Our day exhibiting at the Grammar Spring Fair (on Saturday the 5th of September 2015) was interesting and we handed out a lot of our new booklets. 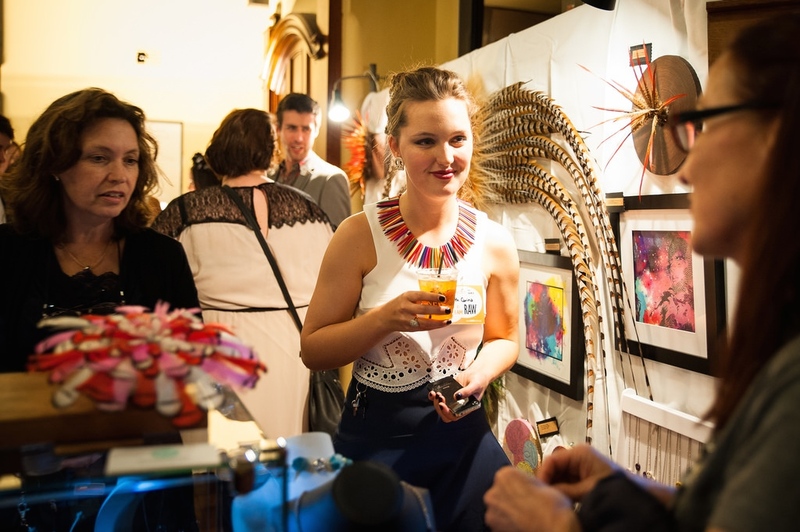 In October, our up and coming Jeweller/designer was invited to exhibit at RAW (natural born artists)at Sydney University. Beth exhibited both her Jewellery and feather art. She put in a lot of hours to prepare for the exhibition. It was quite a long night but the time flew by once the crowd arrived. Beth felt it was a successful night and worth the work she put in. Soon to come from BethCarina: The 'Wilderness' range, some of which were featured at Beth's RAW exhibition.